In the Commonwealth, countries are adopting new methods to deal with issues that stem from waste and recycling. The following news items show the latest issues and ideas from around the Commonwealth to tackle waste and improve recycling. Alternative methods of recycling plastic – India is using a new method of recycling plastic that has seen some relative success. The project involves the collection of non-recycled plastic that is then used in cement kilns. This method leaves no residue and doesn’t release organic pollutants that burning plastic waste at 1100 degree centigrade does. The project has been successful in Bhopal and is likely to be expanded to other areas. More than 50% of food in Canada is wasted – A recent study in Canada has shown that over half of the food that is produced in the country ends up being wasted. Food waste is a huge issue that is known around the world and this latest story has come as a surprise to many Canadians. Organisations are already looking to combat this figure and eight companies who operate in Canada including Unilever and Kraft Heinz have pledged to cut food waste in their operations by half. 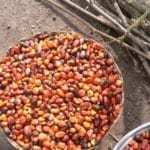 The launch of a new plastic waste recycling project – This year, a new plastic waste recycling project has been launched in Cameroon with the aim to recycle 10,000 tons of plastic waste each year. The aim is to set up around 200 collection points and create about 100 direct jobs as well as 10 000 indirect jobs to assist with the project. They also hope that the project will lead to more people getting educated about recycling. A contact lens recycling scheme has launched – In the middle of January, the UK launched its first contact lens recycling scheme. The scheme will enable those who wear contacts to recycle them for free. Old lenses can be disposed of at drop-off points such as Boots Opticians or they can choose to have them collected. There are 3.7 million soft lens users in the UK and a recent study showed that 70% of UK contact lens wearers would recycle if the option was available. 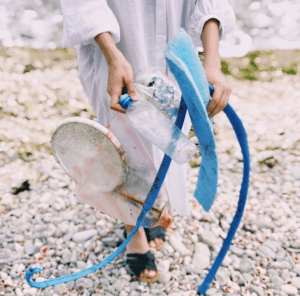 This scheme enables British people to reduce the amount of plastic waste that would usually end up in the environment. From plastic bottles to life-saving equipment – Scientists from the National University of Singapore have found a way to recycle plastic bottles into aerogel (a super insulating and absorbing material). Aerogels are not new, but this would be the first time that they have been created from PET (the plastic that is used in plastic bottles). With the increased concern of plastic pollution around the world, innovative solutions are needed to address the issue – Singapore is also leading this fight with the launch of a $2 million grant for projects that focus on packaging waste, food waste and e-waste. The National Plastic Bottle Recycling Programme is Expanding – The Recycling Partners of Jamaica are looking to expand the country’s National Plastic Bottle Recycling Programme. One of its aims is to increase the recovery of plastic bottles that have polluted the environment, which is a massive issue not only in Jamaica, but around the world as well. 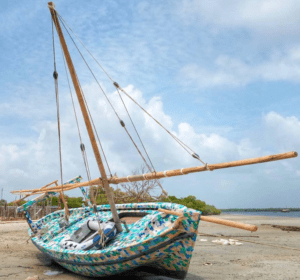 Dhow created entirely from recycled waste set to sail – In Kenya, what has become known as the “FlipFlopi” project has helped launch a plastic revolution. The dhow, which is usually made completely out of wood, has for the first time been built from recycled plastic. The project will take part in two expeditions this year and is already making its way along the Kenya coast to spread information about recycling plastic. More information on the FlipFlopi Project can be found on their website. This post forms part of our monthly focus on waste and recycling. To find out more check out the first post in this month’s series – Fast Fashion and How to Reduce Clothing Waste and keep checking back to see other posts later in the month. Please support CHEC by becoming a member here.